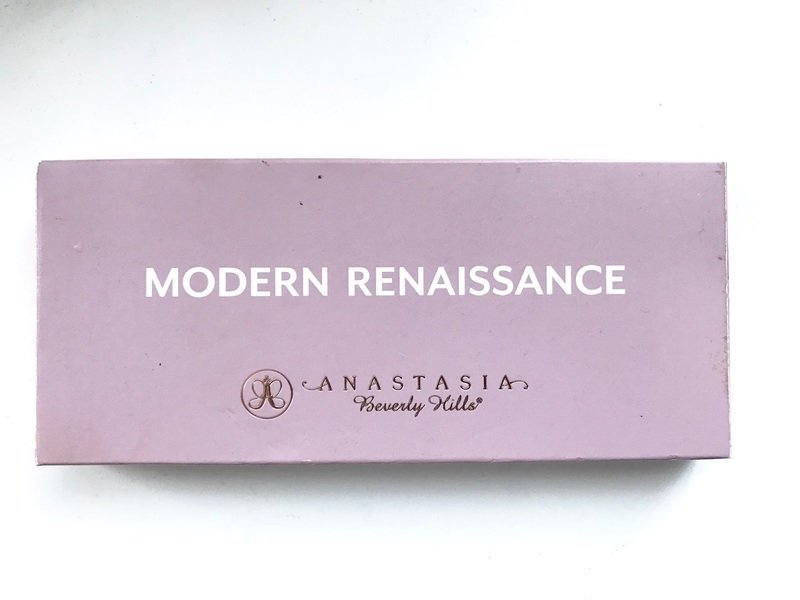 One beauty product which I have lusting over since it was released is the Anastasia Beverly Hills Modern Renaissance eyeshadow palette. When I saw the swatches, I knew straight away it was going to be on my wishlist. When it was released here in UK it was sold out pretty much within minutes. But back in January when Cult Beauty got it back in stock I did not hesitate to make my purchase and oh boy...I am so glad I did! 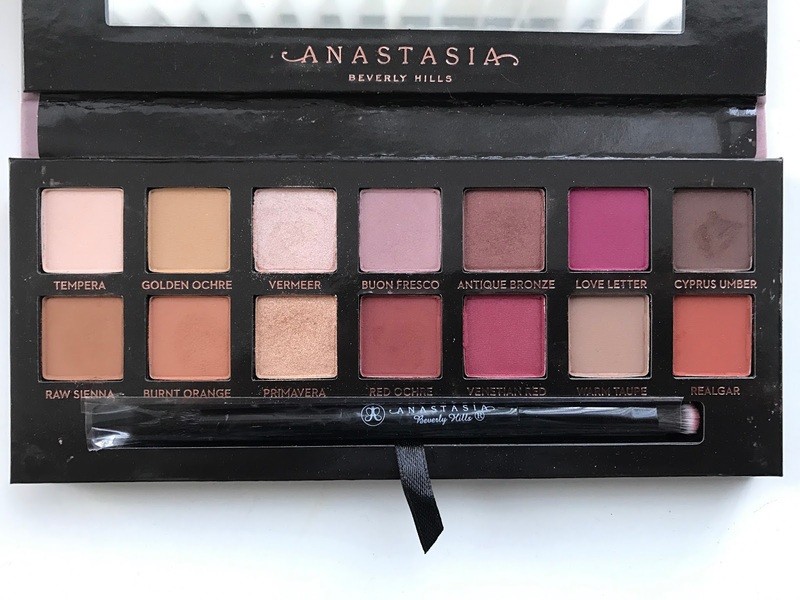 All the colours are absolutely stunning, and as always with Anastasia product's they are of excellent quality, highly pigmented and with bare minimal fallouts. 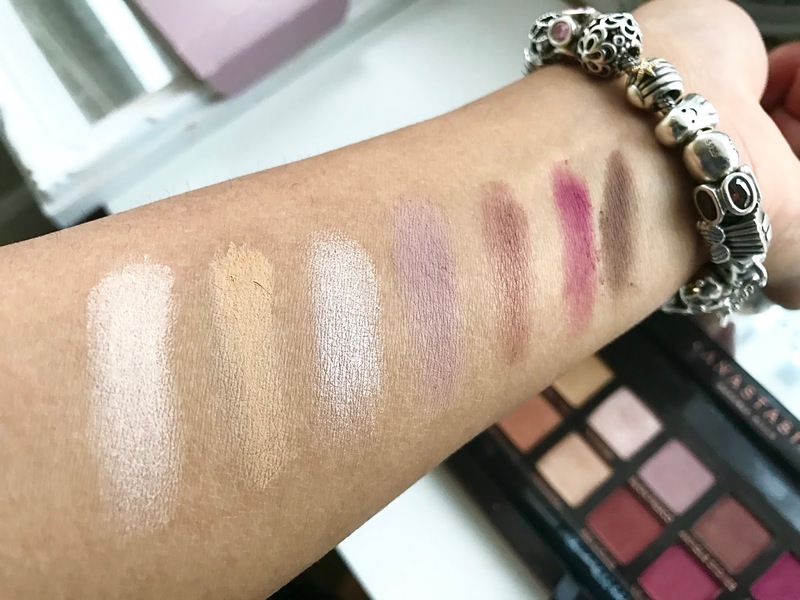 The colour range is what blew me away, the warm shades are perfect for my skin tone but in all fairness, it will look beautiful on each and every skin tone. 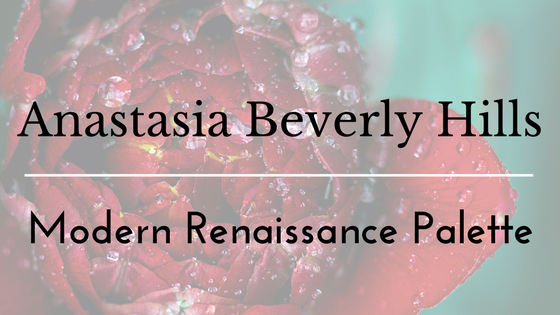 There are 14 shades in this palette with colours in the shade of pinks, berries and taupes. 11 shades are matte with 3 metallic shadows. 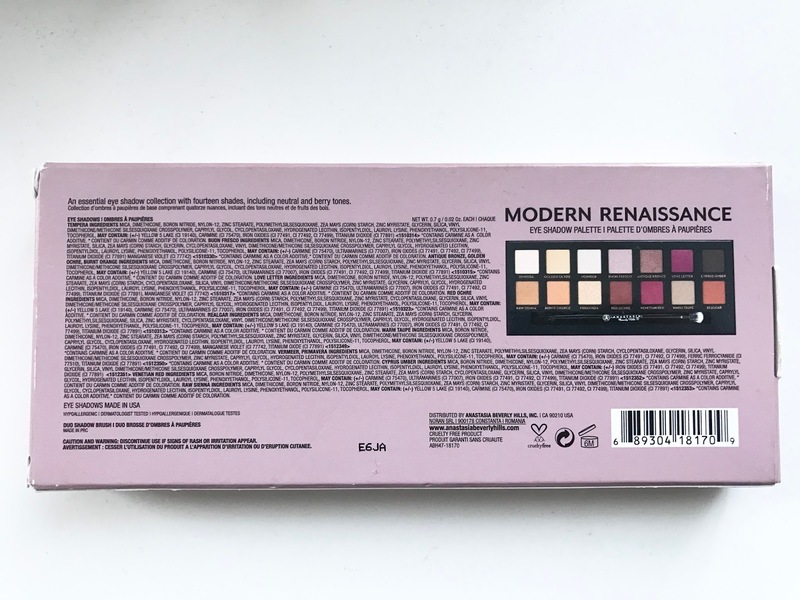 This palette also comes with a dual-ended brush which I have not used, however, can see it being handy when I travel and don't want to carry too many brushes. The palette is presented in a cardboard box, however, the cover of the palette has velvet material on giving it that luxury feel. Inside the palette, there is a mirror which is handy. Burnt orange and Red ochre are my favourite warm transition colours. Both blended in together create a nice gradual blend of transition shades giving that warmth which are perfect for brown, green and hazel toned eyes. 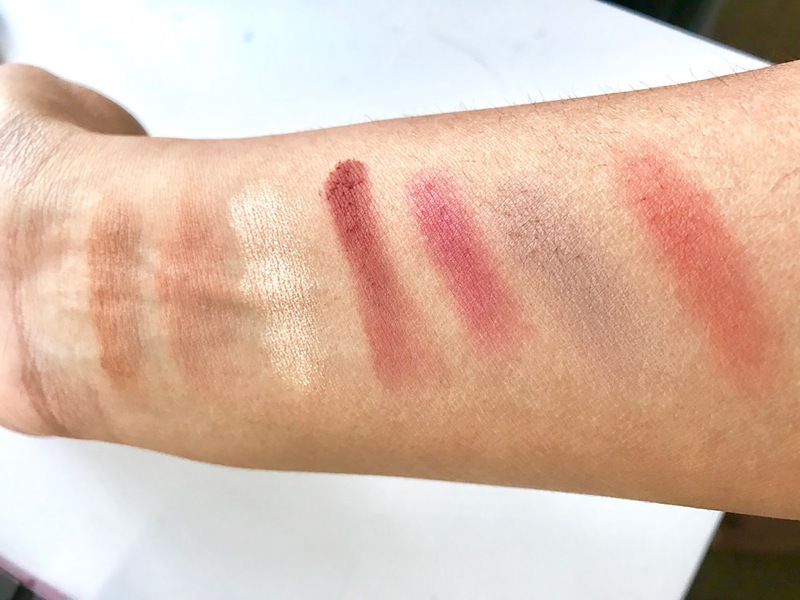 How amazing do the swatches look? The colours are very pigmented and I barely touched the pan. The application of the eyeshadows are very smooth and the metallic colours are also of a smooth texture which helps as I don't like gritty or big glitter particles. Here are a few looks which I have created using this palette. The colours seamlessly blend in and the range of colours work well together. There are many looks which can be created with this palette and I doubt I will ever get bored of this! I very much do recommend this palette and personally cannot wait to use this again! 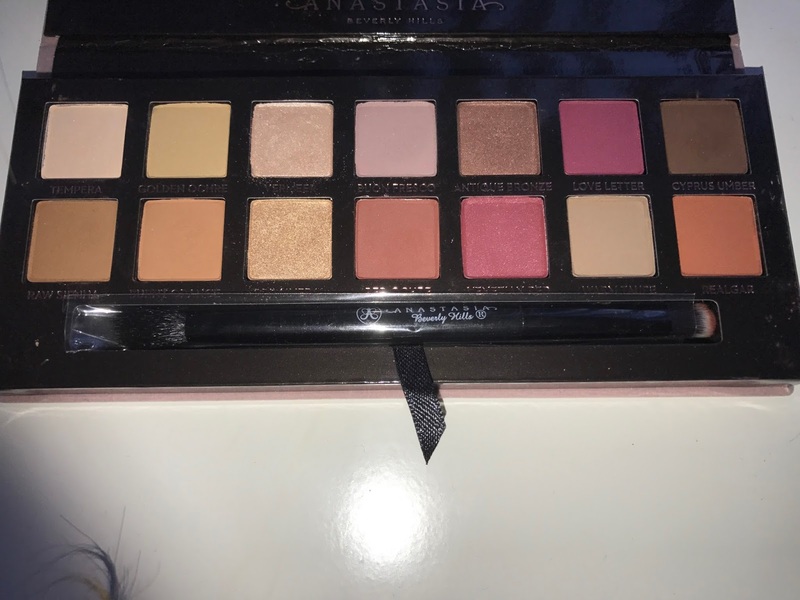 I am interested in purchasing the HudaBeauty eyeshadow palette so if anyone has used it let me know how it is? and how it compares to this one if you have both!